Key Largo, Monroe County, Florida, May 5, 2007. 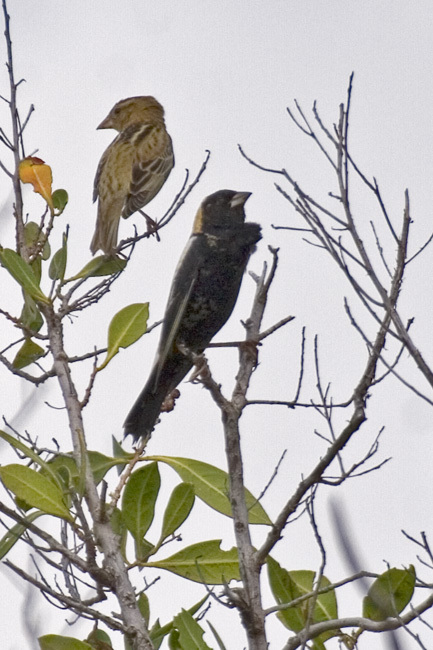 Although the Bobolinks were a little far away for a detailed photo, that is not the only way to take bird photos! This reminds me of Audubon's prints.